a)Non-pharmacological methods in pain management. 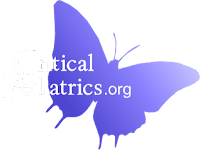 b) Drug therapy in neonatal pain management. 13. Describe the pathophysiology of hyaline membrane disease (HMD) in newborns. Outline important available strategies to prevent HMD. 6. Discuss the approach to diagnosis of Persistent Pulmonary Hypertension of Newborn (PPHN). Outline the available modalities of management, highlighting their key features in a tabular format. 2. Enumerate causes of persistent vomiting in a 4 week old child. a) Non-pharmacological methods in pain management.